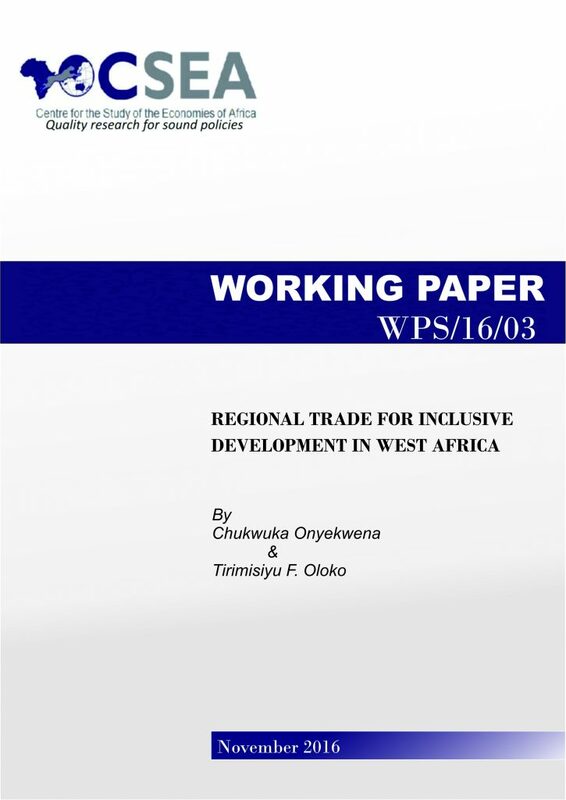 conversion of part of the extra-regional trade into regional trade. Recently released GDP figures reveals that the three major sectors recorded positive and negative growth rates individually in 2017Q2. Firstly, Agricultural sector grew Year on Year by 3.01 percent, down from 3.39 percent in 2017Q1- driven by weaker output in crop production and Fishing sub-sectors. This is not unconnected with the planting season and the shortage of grainsfor livestock/fish respectively. Recently released report by the National Bureau of Statistics (NBS) indicates price increase of selected food items for the month of February 2017, relative to January 2017. Specifically, prices of the selected 24 food items ranged from N47.42 N1, 812 in January to N42.90 N1, 955.10 in February 2017. Average price of all selected items increased month-on-month by 2.7 percent to N540.05. Non-seasonal agriculture factors such as rising cost of crop production, imported products, and transportation continue to drive domestic food prices higher as domestic food supply contracts. This is also reflective of the high food inflation rate in February (18.53 percent) relative to 17.82 percent recorded in January 2017. Strengthening Nigerias crude oil production, supporting local agricultural production, and improving forex policies to straighten the naira remain critical in improving food supply and reducing inflation.